Come and try - first session free. Absolute beginners to black belts; age 4 years and above. 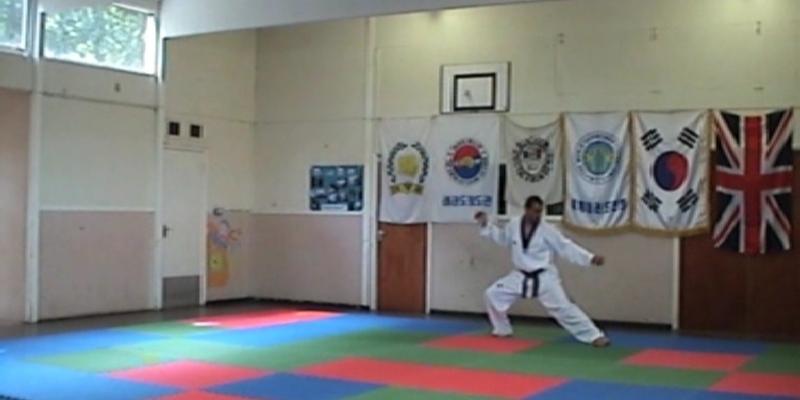 Learn self defence skills - gain fitness and flexibility. Increased self confidence, improved health, balance and coordination. Sense of belonging to a club. 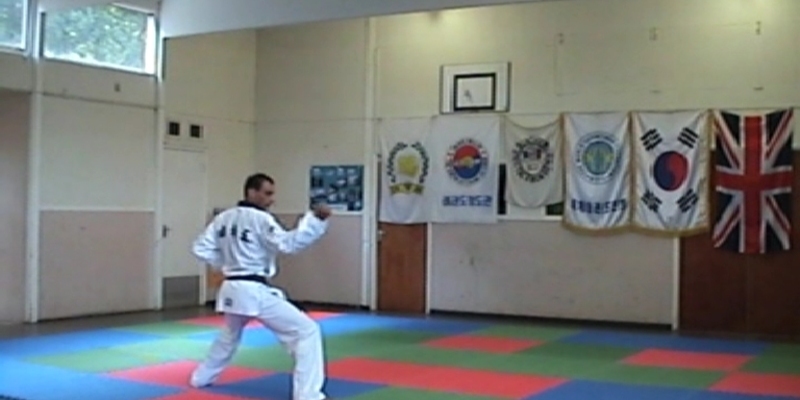 Sparring, blocks, kicks and forms, with the latest Dojo equipment and technology. Grandmaster Johnson has taught Taekwondo for over thirty years in various venues and schools. 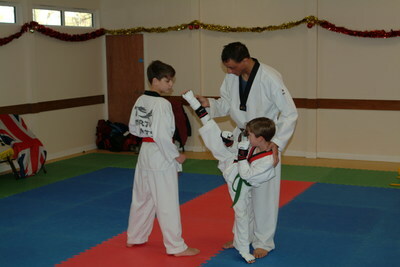 We pride ourselves on teaching Taekwondo with children’s safety very much in mind. 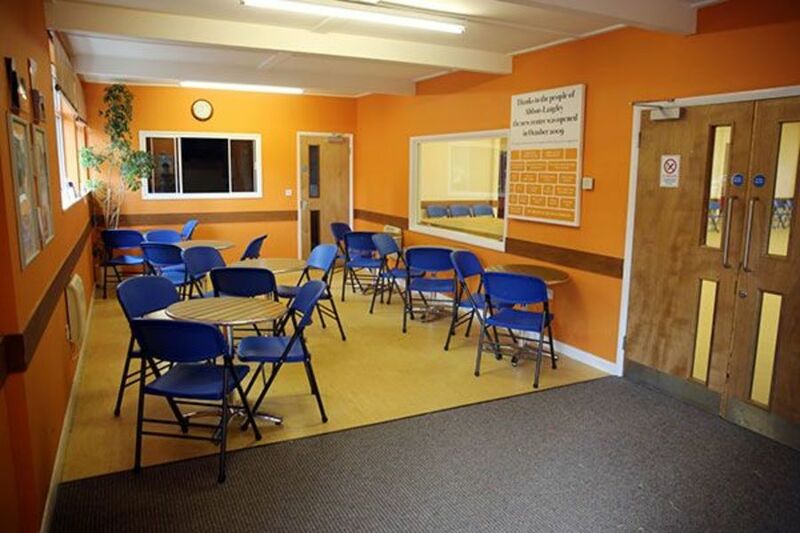 The aim of the training is to enable the students to improve themselves both physically and mentally. There are so many benefits from practicing Taekwondo, the children also develop good social skills, respect, obedience and good manners. 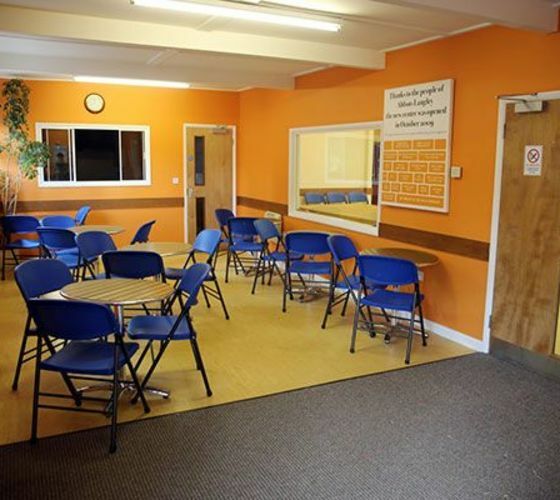 Come inside and take a look at our club facilities and see our students training and competing in tournaments. See what our students and parents say about our club. Read about the various grants we've been awarded recently - these allow us to provide the most up-to-date electronic scoring equipment and ensure that all our students have the opportunity to train to the highest standards. Have any questions? Check out ourFAQ or contact us directly here. The name "Taekwondo" literally means the way of foot and fist. "Tae" means to break or attack with the foot, while "Kwon" means to break or strike with the fist and "Do" translates as "the way of" or "the art of". Taekwondo encourages speed and flexibility, and although it is sometimes referred to as "Korean karate" it puts more emphasis on dynamic jumping and spinning kicks than other Oriental martial arts. WTF Taekwondo has been an official Olympic sport since the 2000 Sydney Games. Current events on the Olympic programme include four weight classes each for men and women. 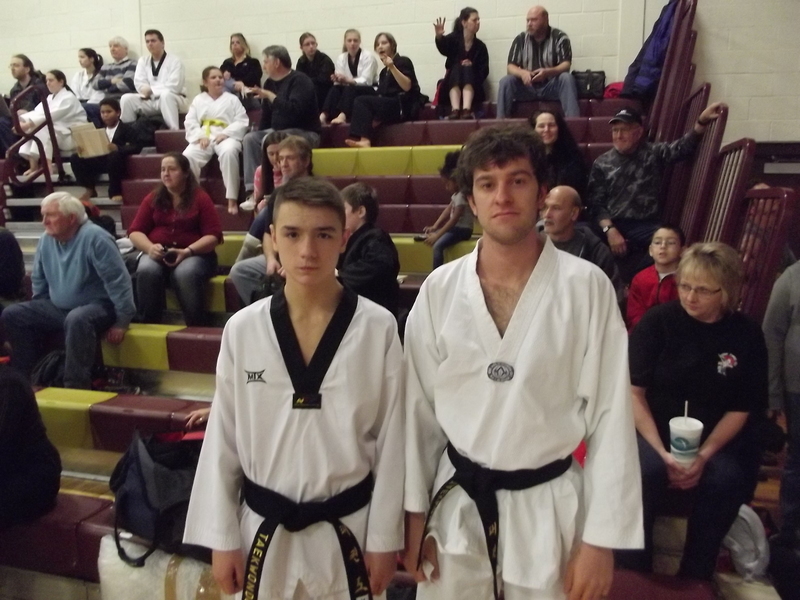 We teach traditional Taekwondo / Tang Soo Do forms as well as the WTF Taeguk forms. Learn some of the Korean words and phrases we use in the Dojang. 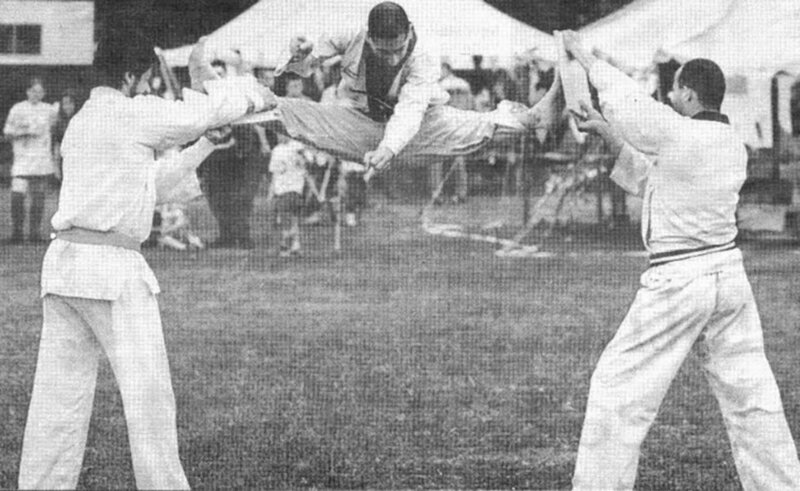 Read about the history of Taekwondo, a modern martial art based on ancient traditions. 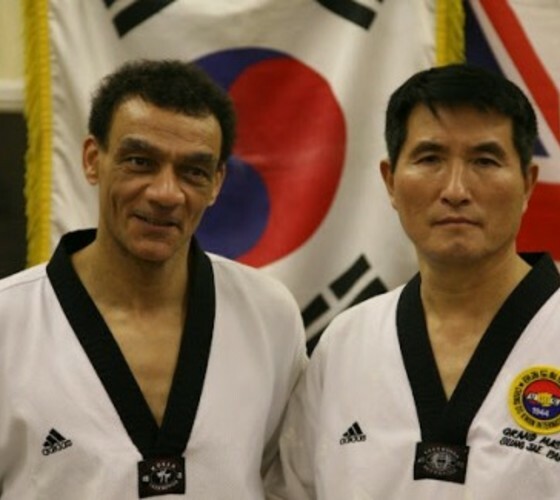 The academy is run by 8th Dan Grandmaster Brima Johnson, who has taught the Olympic sport of Taekwondo for more than thirty years. Students and parents talk about the club. Once you've trained at the BJ Academy nothing else comes close! 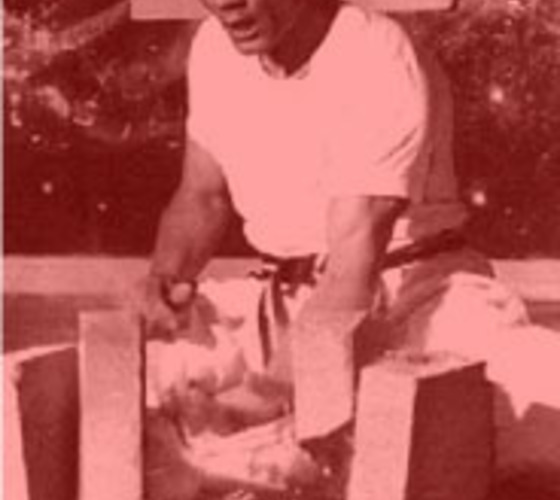 "I've trained with Grandmaster Johnson for over ten years, joined at various stages by my three children. It's the most intense and varied training you could ever get, and I've achieved things I never thought possible thanks to the encouragement and motivation of the instructor and his seniors. Training until you drop is a great way to work off the stresses of everyday life, and in a fun and friendly atmosphere too." "Hayden started training with Grand Master Johnson just over 2 years ago, aged 4, and he loves it. 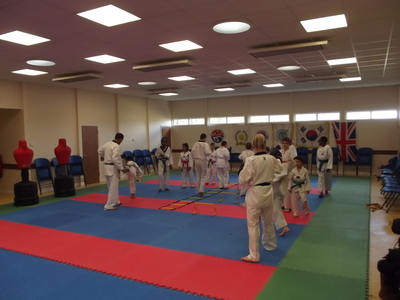 Grand Master Johnson and all the senior team, provide an encouraging environment for the children, while ensuring they learn the required ethos of Tae Kwon Do. Hayden has flourished while with the club, developing stamina, strength and keeping fit, while having fun. He has also taken part in a number of competitions, and he is proud to display the medals and trophies he has won, with a desire to compete further in the future." "It's really good. I learn about kicking and punching. I like doing the patterns and Master Johnson makes me laugh with his funny noises"
"It has been an honour over ten years to train with Grand Master Johnson. The many benefits of TKD, increased fitness, strength, stamina, self discipline and self control are expertly catered to by Grand Master Johnson. The club's students are very fortunate to have access to someone of his expertise. " I was looking for a martial art that would teach my daughter/son physical & emotional strength, self discipline and protection. After her first lesson with B J Academy, she was so enthusiastic and happy. With every lesson, she is learning skills and strategies to protect herself, focused on goals, gaining further awareness and resilience and most importantly confidence, whilst engaging with like-minded students. I was overwhelmingly proud of my girl achieving her first grading, now all the way to being a junior Black Belt. It is evident how Grand Master Johnson have assisted with her anxieties & rebuilding her self confidence. Both Rhianna and Nikhil have gain so much from their training that each tournament UK, Europe and USA, they have come through with great achievements. Both students have attended the GB Taekwondo Kids Kickin, a very proud moment for us and the club, which has been supportive and being part of a family - proud parents whose children have been training with Grand Master Johnson for over 6 years and continuing to enjoy going to their lessons." 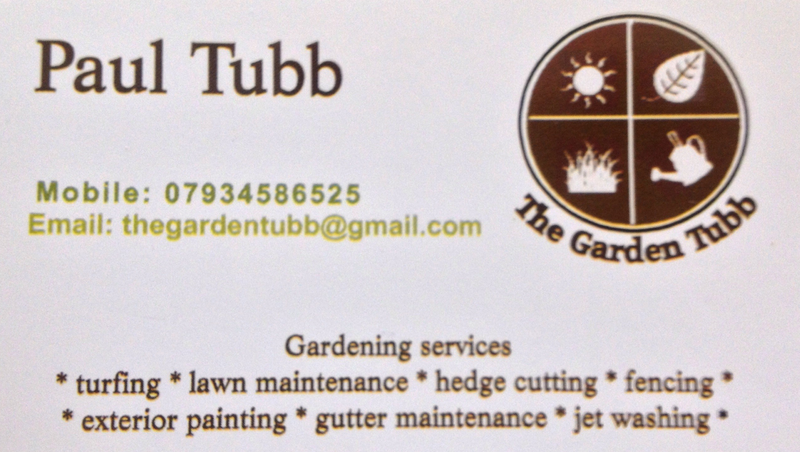 "I have been training with Master Johnson since the age of 5 and thoroughly enjoyed all my lessons. 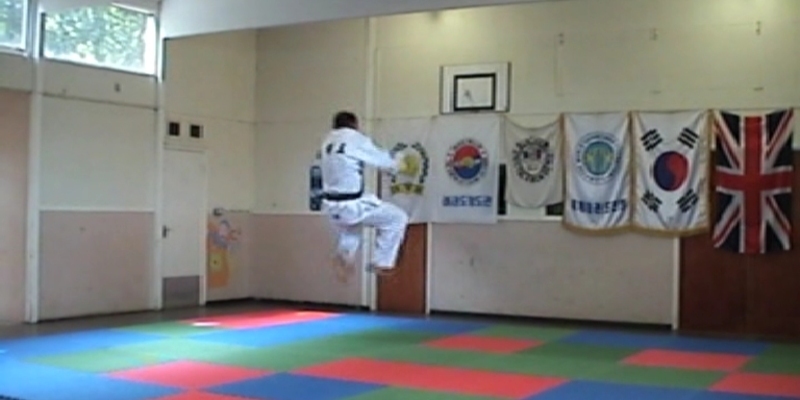 When I did my first One to One competition, I have loved Taekwondo. With all the medals and trophies I have achieved, I would not have succeeded if it was not for Master Johnson having faith in me and believing in my abilities. The support that he has given me and the confidence that i feel has made me a better person. All the students have the greatest respect for Master Johnson and the seniors that trains with us. "Master Johnson says believe in your yourself and you can aim to be the best, and always listen to your coach." Thank you for your support and being there for me through the sweat and the tears! By Rhianna age 11 "
"My son Harry has been a member of the club for three years he started when he was just 2yrs old. The club has not only provided him with the tuition of learning the art of Taekwondo, but it has also taught him loyalty/respect and disapline. The club also provides Harry and us as a family with a belonging to a wonderful community, which for many years Abbots Langley have supported our daughter Sian and us. Master Johnson and his club members have provided social inclusion and support for our daughter who is disabled with Spinal Muscular Atrophy Type 2, on many occasions Sian helps in the club on a Saturday like any other student. We cannot thank the club enough for the fundraiser event which provided Sian with an off-road wheelchair which has changed our family life completely. We highly recommend the BJ Academy club to anyone as if you believe in yourself you can achieve anything and this club can!" Information about some of our fundraising activities. In 2012 we got lottery funding through Sport England to help us expand the club and buy the latest electronic equipment. 5th April 2014 – we attended the Jigfest at Abbots Langley Community Centre, raising £500 for the club, as one of the three nominated beneficiaries of this annual event. Q: What age can my child start? "We train children from 4 years of age - start them young and they'll get the most benefit from Taekwondo! 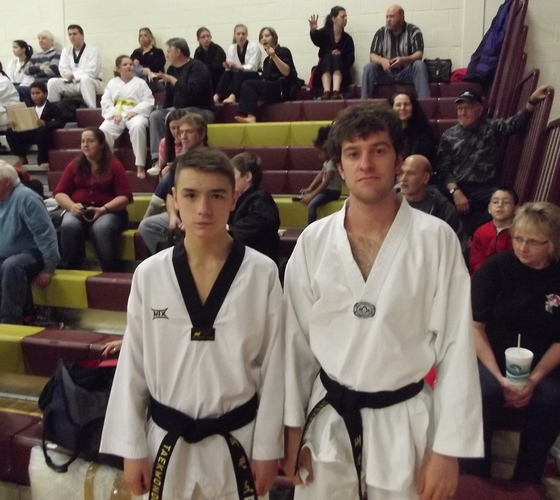 If they can stay on the mats and follow simple instructions they will be fine." Q: What do I wear to get started? "Loose comfortable clothing - tracksuit trousers or shorts and t-shirt. You can buy a dobok (Taekwondo uniform) from the club shop when you're ready." 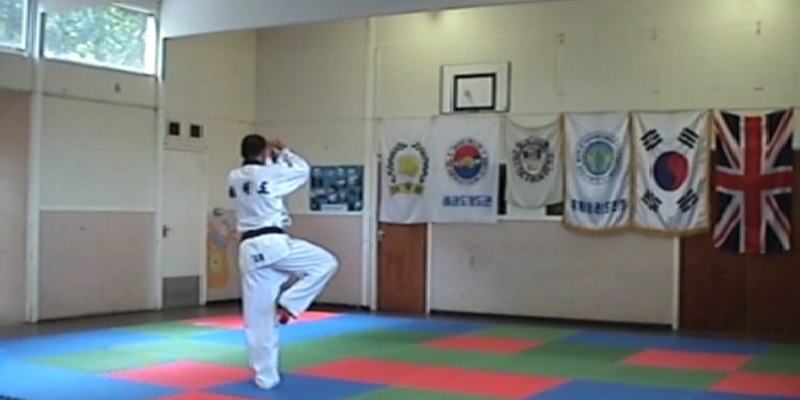 Q: TKD is already part of my life, what can I expect at your club? 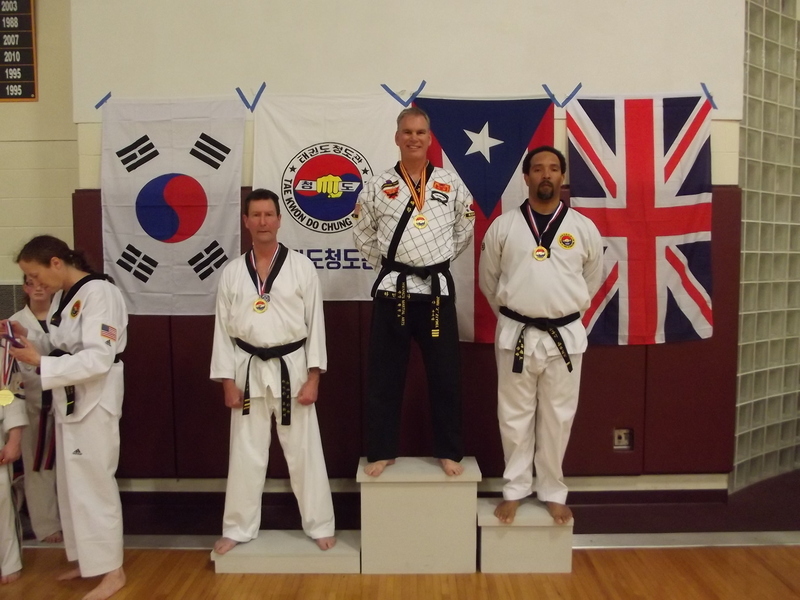 "You will be welcomed into a well-run club with a very high standard of instruction, as you would expect from an ex-Olympic team trainer with almost 40 years experience of teaching Taekwondo and Tang Soo Do. We teach traditional forms and techniques as well as purely WTF, so there is something for everyone, whether you want to focus on competition, or forms and the more traditional aspects of martial arts." Q: What happens in a typical session? "Sessions range from 1 to 2 hours in length (see timetable). Every session starts with a warm-up and stretching session, and ends with a short warm-down. In between there is plenty of variety to keep things interesting - practice of leg/arm techniques individually or in pairs, learning and practising forms, WTF-style sparring with body protection, practical self-defense techniques, general fitness drills and more. " Q: Can I watch a session first or get a trial lesson? "Yes you can come and watch a session, but the best way to experience Taekwondo is to join in, and your first lesson is free!" Q: How fit do I have to be to start? "You don't have to be super-fit to start Taekwondo - you can work at you own pace and you'll quickly start to see an improvement in your flexibility and stamina. " Q: Will TKD help me to get fit / stay healthy ? "Absolutely! With regular training you can become fitter and healthier than you've ever been. Any martial art that is properly taught becomes a life skill for any student of any age who wants to learn. " "The essence of Taekwondo cannot be seen, touched, smelled, tasted or heard. It can only be experienced". A DVD of Grandmaster Johnson demonstrating the colour belt forms (Taegeuk 1-8 and Pyung Ahn 1-8) is available from the Club for £10. Poomse Koryo symbolizes seonbae which means a learned man, who is characterized by a strong martial spirit as well as a righteous spirit. The choonbi-sugi (ready stance) is tongmilgi which promotes concentration by placing the hands between the upper and lower abdomen, the center of ki in the body. The movement line of Koryo represents the Chinese character for seonbae or seonbi, which means a learned man or a man of virtue in Korean. Keumgang, meaning diamond, is symbolized by hardness. Mount Keumgang, which is regarded as the center of the national spirit and the origin of Keumgang Yoksa (warrior named by Buddha) who represents the mightiest warrior, is the spiritual foundation of this form. The line of movements symbolizes the Chinese character for mountain. The movements of the poomse should be performed powerfully and with good balance to demonstrate the dignity of the Keumgang spirit. Taebaek (bright mountain) is the name given to Mt. Paektu, the mountain from which Tangun, the founder of the Korean people, ruled the country. Taebaek symbolizes the sacred and humanitarian ruling spirit of Tangun. The line of movements symbolizes the Chinese character for a word meaning the bridge between heaven and Earth. Pyongwon means a plain or a vast field of land. It is the source of life for all creatures and place from which all creatures gain sustenance. Pyongwon is based on the idea of peace and struggle resulted from the principles of origin and use. The Choon-bi sogi requires a concentration of force in the lower abdomen, the source of all strength, much like the land is the source of strength for all life. The line of movements symbolizes the origin and transformation of the plain. The word sipjin is derived from the principle of longevity which maintains there are ten creatures of long life: sun, moon, mountain, water, stone, pine tree, herb of eternal youth, turtle, deer and crane. This poomse symbolizes the longevity humans derive from these everlasting elements of nature. The line of movements is the Chinese character for ten, symbolizing the ten creatures of long life and the infinity of the decimal system. Jitae means a man standing on the Earth looking at the sky. A man on the Earth represents the struggle of humanity. The line of movement symbolizes a man standing on the Earth preparing to spring up toward the heaven. Cheon Kwon means Heavens Greatness or the origin of all being. Its infinite nature signifies change, creation and completion. The movements are characterized by circular arm movements, symbolizing the greatness and inclusiveness of the Cheon Kwon concept. The line of movements symbolizes a man descending to Earth from the heavens, being empowered by the heavens and attaining oneness between the Earthly world (body) and the heavenly world (mind). Han Soo means water which is the source of sustenance and growth for all life. Han Soo symbolizes the birth of a life, growth, strength, weakness, harmony, magnanimity, and adaptability through life. The nature of water, characterized by unbreakability and flexibility, is the basis for this poomse. The line of movements symbolizes the Chinese character for water. Ilyeo symbolizes the thoughts of the great monk Wonhyo of the Silla Dynasty. It teaches that a point, a line or a circle ends up at one. 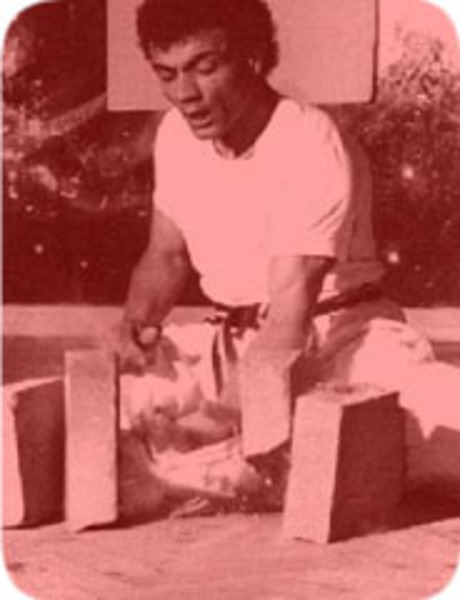 Poomse Ilyeo represents the harmonization of body and spirit, which is the culmination of martial arts practice. The line of movements symbolizes the Buddhist mark which means a state of perfect selflessness where origin, substance and service come into congruity. Dr. Grandmaster Lee Kyu-hyung is a 9th dan grandmaster of WTF-style Taekwondo and was the former president of the Kukkiwon. Lee was born in 1948. He holds a Ph.D. in physical education from Keimyoung University granted in August 2002. 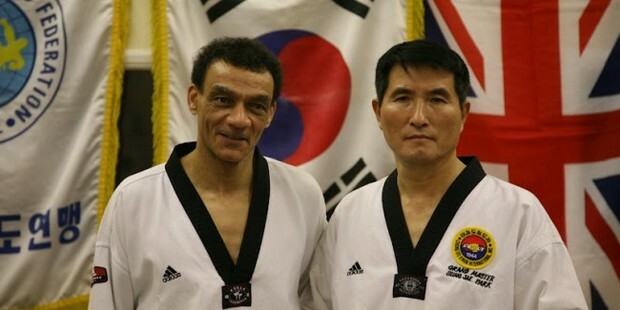 He is a former head of the Korean National Children’s Taekwondo Demo Team, head of the Korean National Taekwondo Demo Team, and professor of Taekwondo studies at the Kyemyeng University. 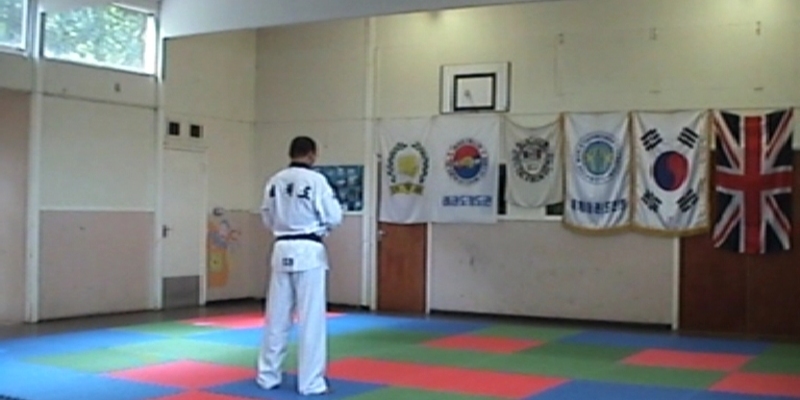 In Taekwondo, as in Tang Soo Do, commands and terminology used with students are often given in Korean. English equivalent of Korean word or phrase. The Revised Romanization of Korean is the updated official Korean language romanization system introduced in South Korea in 2000..
Hangul has been used to write the Korean language since the 15th century. Hangul is occasionally augmented by Chinese characters called Hanja. Hanja is the Korean name for Chinese characters (hanzi). More specifically, it refers to those Chinese characters borrowed from Chinese and incorporated into the Korean language with Korean pronunciation. 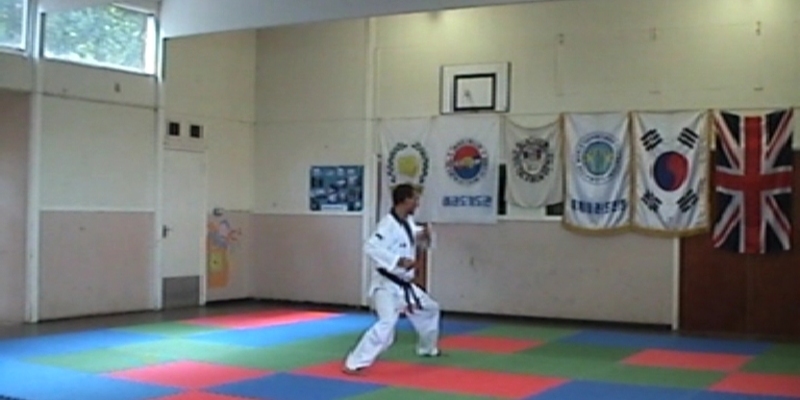 Original Tang Soo Do commands are based on Sino-Korean words and Korean transliteration of Japanese karate terminology. 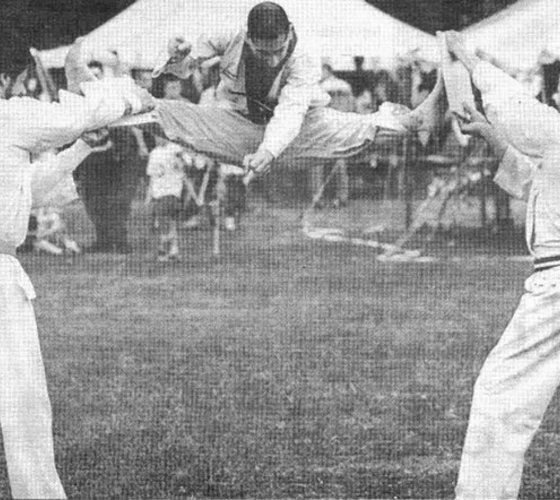 As Taekwondo became centrally governed, from 1955 and with the formation of the World Taekwondo Federation in 1973, the terminology was revised to favour Korean. Some links to other sites. 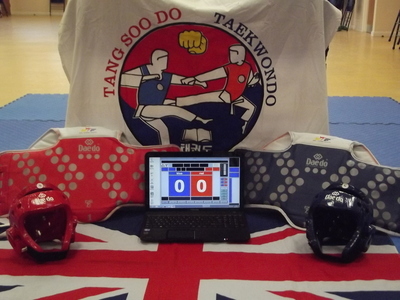 Here you can find links to other Taekwondo organisations and to some of our local club sponsors. The World Taekwondo federation was established in 1973 and is the International Federation governing the sport of Taekwondo. 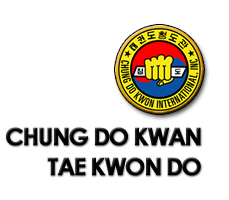 Founded in 1944, Chungdokwan was the first school (kwan) to teach what became known as Taekwondo in Korea. 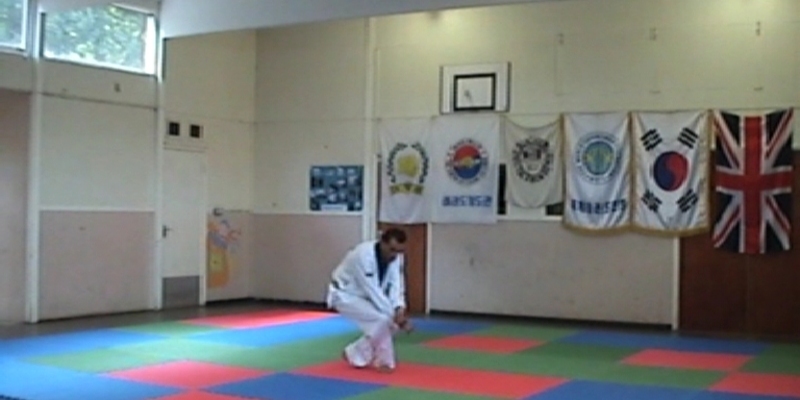 Chungdokwan means 'blue wave school' and its worldwide President is Grandmaster Uhm Woon Kyu. 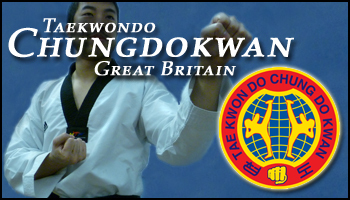 Taekwondo Chungdokwan Great Britain (TCGB) was formed in 1982 to represent Great Britain and Northern Ireland. 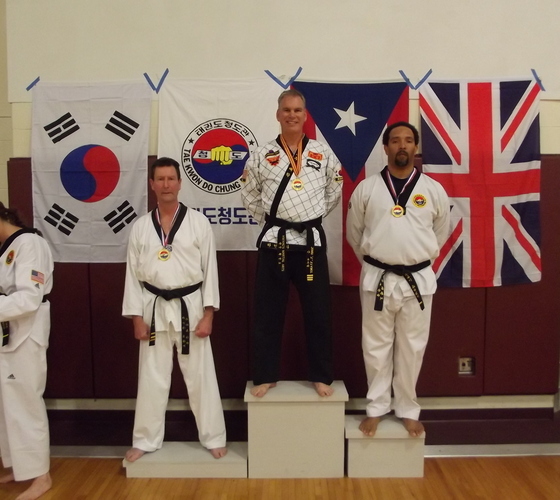 Chung Do Kwan International, Inc.
Grandmaster Sung Jae Park's Taekwondo school in Indianapolis, USA. Latin American Taekwondo information site. 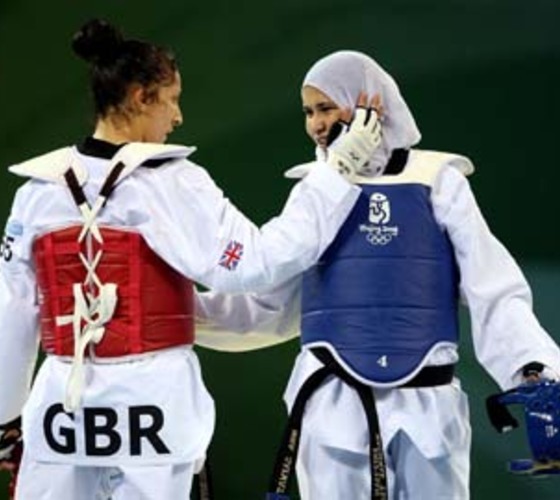 British Taekwondo (WTF) Limited, known as British Taekwondo, was established in 1982 and is the Governing Body for WTF Taekwondo in the United Kingdom. 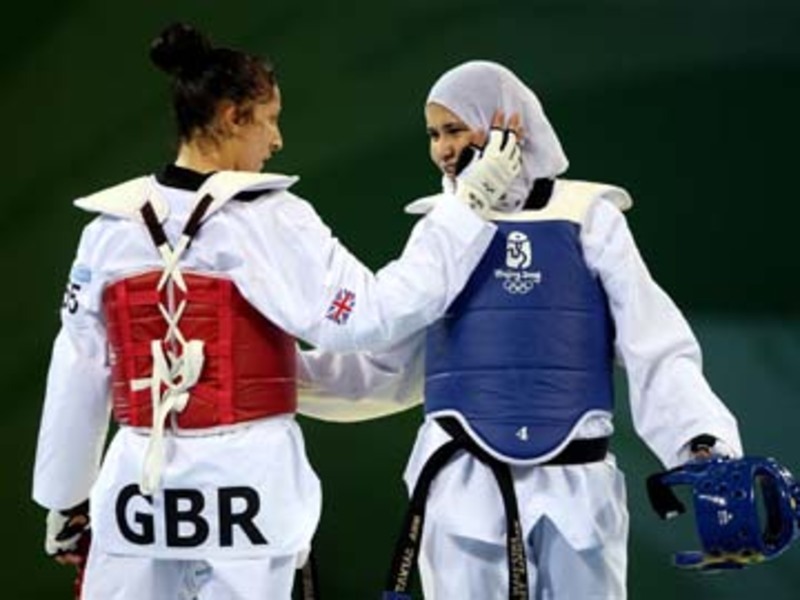 British Taekwondo is a member of the WTF and the British Olympic Association (BOA). KTA was originally founded in 1959. In 1966, some members of the KTA formed the International Taekwon-Do Federation (ITF), other members founded Kukkiwon and the World Taekwondo Federation (WTF) in the early 1970s. The KTA sits under the Korea Sports Council, is aligned with Kukkiwon, and is a Member National Association of the WTF. 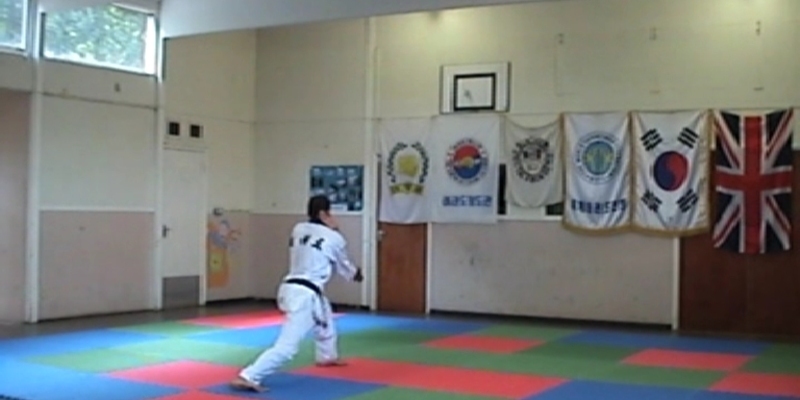 Its goal is to promote the martial art of taekwondo as a national sport within South Korea. Austrian Taekwondo and other martial arts club. With all the latest WTF Olympic-standard electronic equipment, including headguards, body and foot protectors. And Richard's kitchen for re-fuelling after training! Here's a complete list of all our classes. Leave a brief message using the form below and we’ll be in touch very shortly - please include your phone number. 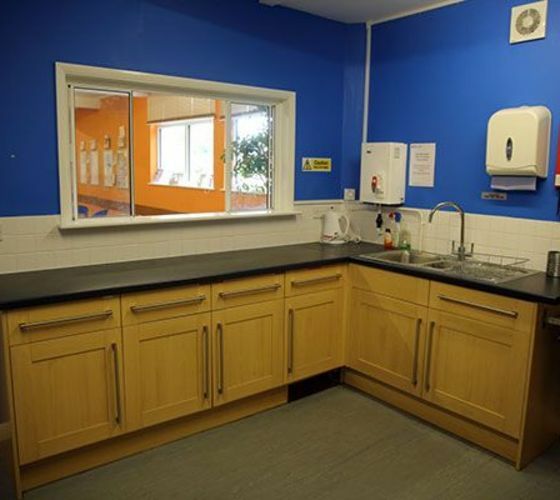 The home of BJ Academy is the Abbots Langley Community Centre, where the High Street meets Gallows Hill Lane, on the edge of the Manor House Grounds playing fields. Free car parking right outside! 2016 © Silver Lining Consultants Ltd.